A Salad People Actually Want. ☆We made this today, it was sooooo good! Thank you for the recipe and your beautiful healthy inspiration! ☆ I made this with salmon tonight. So good! 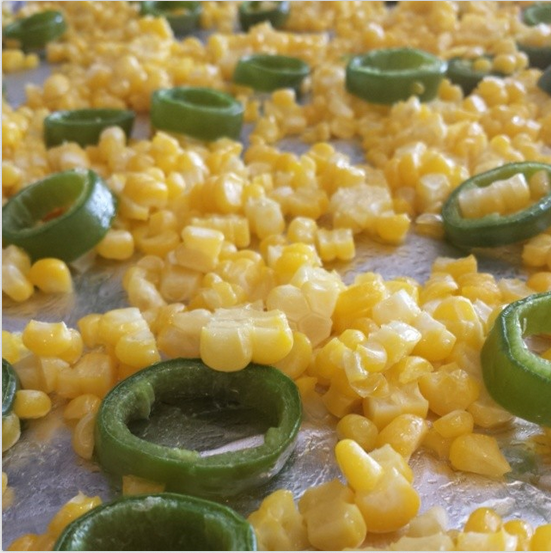 The roasted corn and jalapeños are to die for! 3. Combine all ingredients, lay on flat sheet pan. This is goes on the salad. It smells so good while roasting! Combine well, lay on flat sheet pan, roast in preheated 350 degree oven for about 20 minutes. Perfect. Combine all ingredients, lay on flat sheet pan. 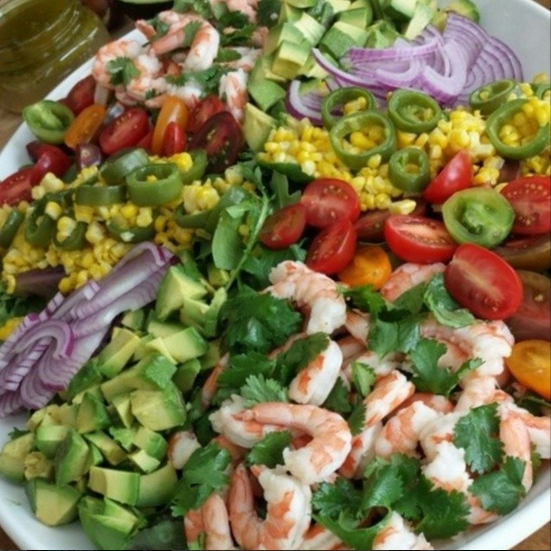 I like to arrange everything in a bowl with fresh veggies, cherry tomato, and avocados, the dressing on the side. Delicious.